As in previous editions, we intend that the Program at the Journées website include links to the PDF files of your presentations. In case you cannot give your consent please let us know before November 15. For oral presentations, we will post a PDF file obtained from the file you uploaded. If you have to make some changes, e.g. correcting typos, please send the new file (in PDF) before the same date. Posters can be posted after their pdf files are submitted to journees2017@ua.es. For large files, we ask you to send a link to the file instead, since transferring large files by email can cause troubles. 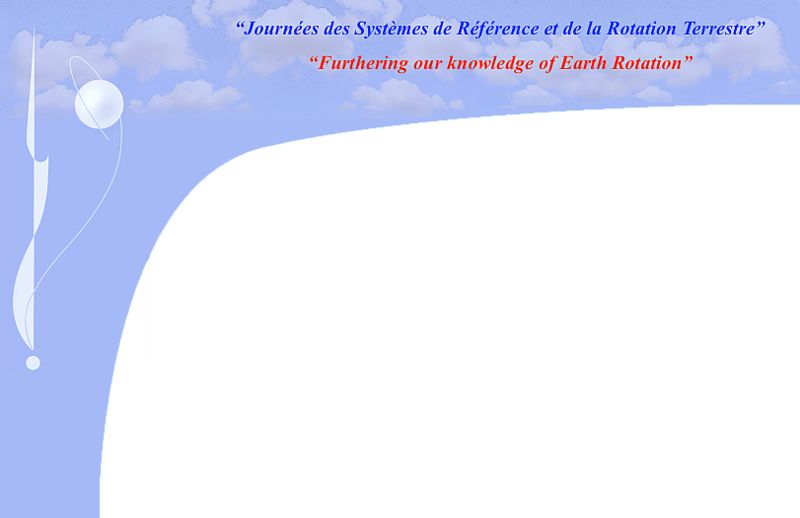 The Proceedings will be published only in electronic form (as a book with ISBN) and will be available at the usual repository of the previous JSR editions and the Journées 2017 web site as well (https://syrte.obspm.fr/jsr/journees2017/ & https://web.ua.es/journees2017/). Contributions also will be accessible individually, as customary. We cordially invite you to prepare a paper with your contribution(s). Besides and as a novelty, the authors of posters may opt to reproduce their poster in the Proceedings as it was composed, instead of transforming it into a short paper. In such a case, they only have to provide a PDF file with their poster (not a LaTeX file). All papers submitted for publication in the Proceedings of the Journées must be written in LaTeX. Image files: If they are e.g. PostScript (or pdf) files, lastname_nn.ps (or lastname_nn.pdf) or lastnameN_nn.ps (or lastnameN_nn.pdf) where nn (01, 02, etc.) is a number identifying each image in your paper. In case of problems you may email to: journees2017@ua.es. In any case, notice that sending large files by email can cause troubles and providing a link for downloading may be a useful alternative.